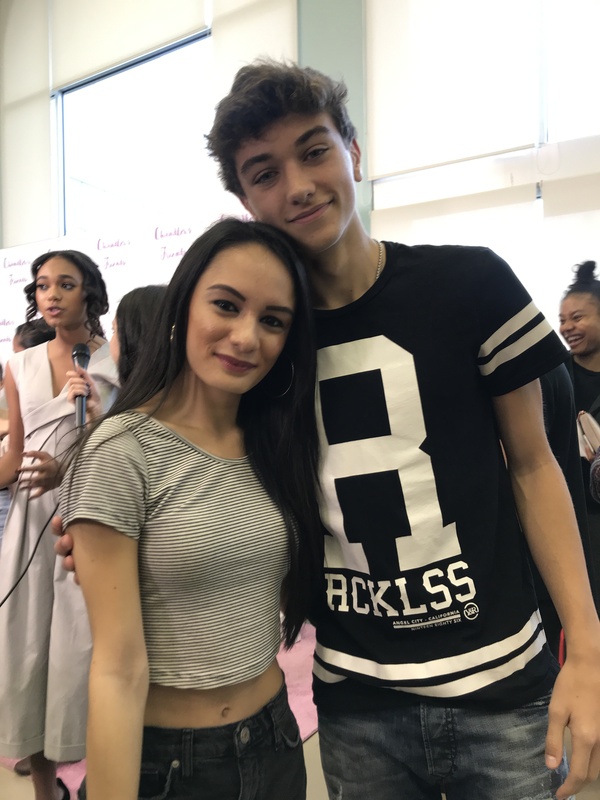 VIPAccessEXCLUSIVE: Gavin Casalegno Interview With Alexisjoyvipaccess At Chandler Kinney’s Gift-wrapping Event! You’ve seen him in many awesome ad campaigns for brands such as Hollister and he’s also a familiar face in many acting projects too – needless to say, the fantastic Gavin Casalegno is totally taking the entertainment world by storm! There is never a dull moment in the outstanding Gavin Casalegno’s world. He’s been keeping busy with his excellent, modeling career which has been taking off in a wonderful way. Gavin has been seen in many terrific, print ads and has been having a blast working a lot with Hollister. In addition, you may have also remembered seeing Gavin Casalegno in The Vampire Diaries. It’s clear to see that Gavin Casalegno is one brilliant and talented actor as he even starred in the movies, Noah and Nine Seconds and in the project, Sage Alexander. Anything and everything that Gavin Casalegno works on is always spectacular and we know that 2018 will continue to bring him many more amazing and well-deserved successes. I, Alexisjoyvipaccess had a great time at Chandler Kinney’s gift-wrapping event and had a marvelous time catching up with and interviewing the remarkable Gavin Casalegno again at the event. Gavin Casalegno dished exclusively to Alexisjoyvipaccess what a typical day in the life of Gavin is like on set of a photo-shoot, what are some of his holiday traditions, and so much more only in our VIPAccessEXCLUSIVE updated interview. Gavin Casalegno even sent out an amazing message to all of his fans – hear what he had to say in our VIPAccessEXCLUSIVE updated interview below. Thanks for another fun interview, Gavin! Check out my VIPAccessEXCLUSIVE updated interview with the phenomenal Gavin Casalegno at Chandler Kinney’s gift-wrapping event below! Previous VIPAccessEXCLUSIVE: Lilimar Interview With Alexisjoyvipaccess At Chandler Kinney’s Gift-wrapping Event! Next VIPAccessEXCLUSIVE: Belle Shouse Interview With Alexisjoyvipaccess At Chandler Kinney’s Gift-wrapping Event!